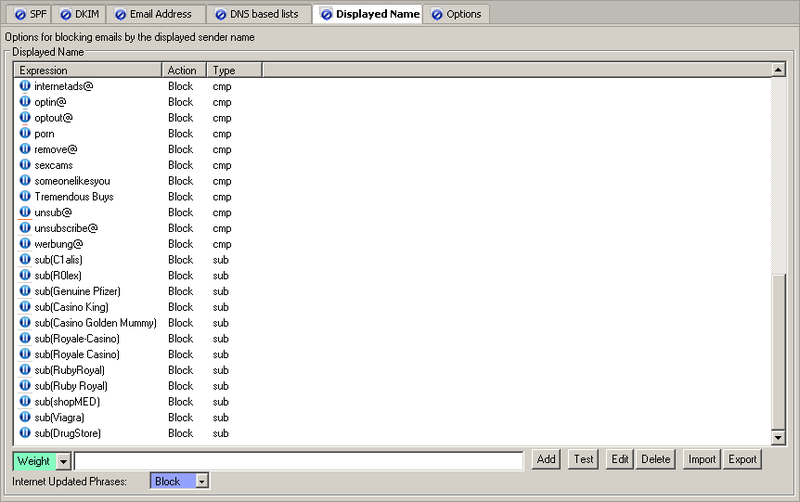 This list allows the configuration of sender matching expressions. When an expression matches it will perform the action specified for the expression. The expression type shows the type of expression the expression matching engine will use for the entered expression. The matches are performed against the MIME From field email address and the displayed from name. The matches are by default case-insensitive full string matches, NOT substring matches. Use sub(expression) to perform a substring match.